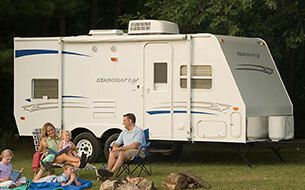 Jurnii RV Rentals is not associated with RVshare. 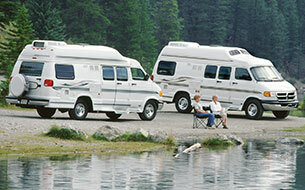 This page is simply a resource, providing more information on all RV rental options, including Jurnii RV Rentals. Everyone wants to go on an adventure. Getting to forget about the daily grind for even a little while has become more than a luxury; it’s a necessity. Becoming a closer family, making memories and stories you can retell for a lifetime, and being able to come back to work fresh and renewed is something that’s a lot easier to do than you think when you rent an RV. 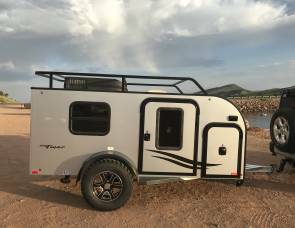 RVing is one of the most efficient ways to travel even in this modern era, but not everyone needs (or can afford) their own rig. That’s why it’s a great convenience that many companies provide the opportunity to rent a comfortable RV almost as easy as renting a car. 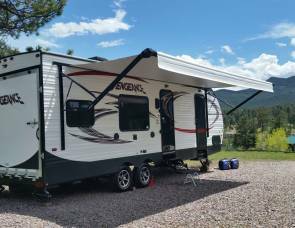 In this article, we’re going to learn a little more about renting an RV from an international RV rental facilitator, Jurnii RV Rentals. Jurnii RV Rentals is a part of the Discovery Rentals Pty Ltd, a company that specializes in managing RV rentals in Australia, New Zealand, and of course, The USA. 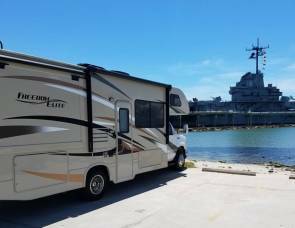 They have been in the industry for over 10 years with the help and support of well known RV dealerships, such as Cruise America, El Monte, and more. Jurnii describes their team as being “fully qualified experts” that can handle any situation as far as your RV rental needs, to make sure the process goes smoothly for customers. When you book your RV through Jurnii, you get access to up to date comparison prices and strong security as well. Dealing with Jurnii, there are a few different ways they try to make sure customers get as much information as possible. Besides providing you the info on company prices for comparisons, you’re able to access data from any location, so you’re not stuck with only having access to limited locations. Jurnii tries to make it simple to find the right vehicle for your family. The easiest way is to take a look through their dedicated vehicles page when you find a rig you like and click on it to get a personalized quote. Another way renting through Jurnii is made simple and to the point, is because they don’t sell accommodations, tours, or flights. The information provided is only exactly what you’re looking for. 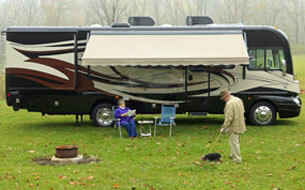 Their goal is just to make sure you have a stress-free RV rental experience. A page will load to show you the options that are available to you. Filter your options by choosing which suppliers you’d like to deal with, how many beds you want, and even certain amenities. If on your initial search nothing comes up, try playing around a little with your options. As a quick tip: we’ve found that it’s better to be broad with your vehicle and flexible with your dates. Search through options, select the rig you’re interested in, read all specifications and see if the rate is in your budget. 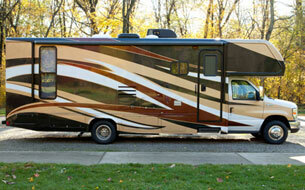 If the RV you’re looking at works for you, you can save your quote and you only have to put a deposit down. The average rate for a rental is about $120 per night. You can save money on renting by traveling during the shoulder season. You can literally save 50% on rentals costs by booking outside of the high seasons! Jurnii has what they call an “early bird special” by booking far in advance, and you can also save by prepaying your mileage. Jurnii RV is a good company with high standards, but at the end of the day, the reason why people use a service like this is to save as much money and time as possible. That’s exactly why a company like RVshare, the world’s largest peer-to-peer RV rental marketplace, excels. Although Jurnii attempts to save customers as much money as they can, their rates are still based on what their partner dealers charge. 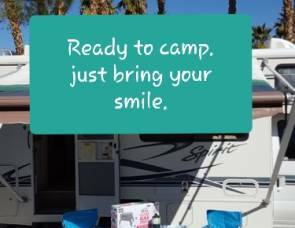 At RVshare, rates start at as little as $10 per night! We’ve also found that unless you’re booking very far in advance, you have to be pretty flexible with your dates and RVs because they seem to have low availability. Although booking early is still highly advised with RVshare, there are a lot more choices. In a way, you don’t have to be flexible to us; we’re flexible to you. Even though Jurnii is an international company, we’ve found that in the US, there still aren’t as many cities providing as many RV options as RVshare. There’s also not as many places to pickup and dropoff. Jurnii is one of the best RV rental middlemen in the industry, but no one has quite the amount of overall convenience that RVshare has. With our combination of low prices, high-quality rigs, and easy booking and pickup, we encourage you to keep us in mind when you’re ready for your adventure.